Feeling slightly creepy? Go ahead and creep out your FB friends with this Hannibal emoticon. Of course, it must be said, we hope you’re merely feeling creepy—and not hungry. 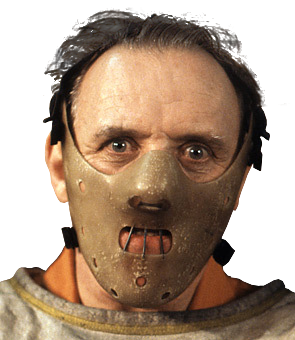 We’re all out of Chianti and fava beans! Check out all of our creeped-out emoticons the next time you want to spread some dark thoughts on Facebook.